Having a flutter on the Melbourne Cup is something of a rite of passage – like your first drink in a pub. And we proudly list two-up in the list of great Aussie inventions. And a close association with the ANZACs ensures it’s got a special place in Australia’s heart. But do we really love gambling? Or do we love traditions that connect us with our past? We would really love two-up if there wasn’t a connection to our diggers on the far shores of Gallipoli 100 years ago? And would the Melbourne Cup be the spectacle it was if it was a dog race? We’ve have always prided ourselves on our horsemanship – think the famous Light Horse brigade, bushrangers and stockmen. And I think there’s something that tickles our larrikin sense of humour that a horse race can take on almost religious significance. Our three most-loved national heroes are a cricket player, a bushranger and a horse. There’s no Governors or Monarchs or civil administrators. And so we take the day off work, and have a bit of a flutter and few drinks. Drinking, gambling and idleness! Hardly a cause Queen Victoria would consider worthy of celebration. But then I think we’ve always liked that about the Cup. We get to celebrate it the way we want to celebrate it. Fuddy-duddy old England can get stuffed. So anyway, that’s the question, is it really a love-affair with gambling? It is true that we lose a lot of money gambling. 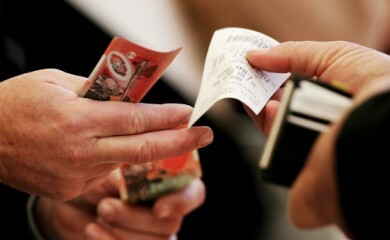 The Economist magazine reckons that Australians lost $1144 each on average last year. That’s far and away the biggest amount in the world. Ireland came second but with just $600 per person. Now, I don’t know about you, but I definitely didn’t lose $1200 last year. I lost $50 bucks on the Cup (and again this year!) but that was it. In fact, I don’t know anyone who lost that much. I don’t think I’d actually know anyone who’d know anyone who actually lost that much. So what I think that means is that a relatively small number of Australians lost A LOT of money last year. Suddenly that’s sounding less romantic. It’s sounding less like a love affair and more like an abusive relationship. And that’s the dark side of gambling. The addiction. I had two students – a couple from South Australia. He thought they were all set up for retirement, but while he was cruising through the last years of work, she developed a pokie addiction. They lost the house – everything. Thankfully, they have a love that can get them through thick and thin and they’re putting the pieces back together. I think they’ll be ok, but it’s a long way back from there – especially if you’re already in your 60s! And it’s pokies they skew the national stats. I can’t stand the evil little machines myself, but when you hear stats about how many Aussies gamble, and how much we’ve lost, pokies account for the lion’s share. It’s hard to imagine future generations will romanticise pokies they way we romanticise two-up. At least two-up and the Melbourne Cup are social in nature. There’s something chillingly isolated and lonely about pokies. And at the end of the day, gambling is a stupid thing to do with your money anyway. But For some reason, we romanticise the down on his luck swaggy, blowing all his money on booze and games of chance. Poor chap. He just can’t help himself. There’s something humble and endearing in that character. There’s also something stupid and pathetic but we gloss right over that. You don’t run a casino to lose money. Historically, gambling has always been a way for rich and clever people to take money off poor people too stupid not to waste their money on rigged games. And so we celebrate alcoholism and gambling addictions. But try tell people you want to be a full-time property investor with a large portfolio. See all the “back-in-your-box” judgment you get then. And a lot of people still come into property investing with a gambling mindset. They want me to give them a hot tip – the inside word. They want a sure bet so they can bet the whole pot and make a fortune. But that’s just not the game I play. In fact, I don’t like to take chances at all. And I don’t encourage any of my students to either. If you’ve done all your research, crunched all your numbers, then you should have a very clear idea of what your return’s going to be. There’s always a margin of error of course, but that’s a long, long way from gambling. It’s cold, clinical and calculated. But I don’t apologise for that. I’m not going to buy into the idea that I should be wishy-washy (or stupid!) with my money. I think it’s a con. I’m happy to have a flutter on Cup Day, or throw the pennies on ANZAC day – but only because I like the way it connects me to our past. The gambling industry tries to capitalise on these traditions by pushing the myth that we have a love affair with gambling, but I’m not buying it. And if Australia has a ‘love-affair’ with gambling, and I doubt that it actually does, then I think it’s probably time we broke the whole thing off.